The human race is at war with the "Buggers", an insect-like alien race. As Earth prepares to defend itself from total destruction at the hands of an inscrutable enemy, all focus is on the development of military geniuses who can fight such a war, and win. The long distances of interstellar space have given hope to the defenders of Earth, they have time to train these future commanders up from childhood, forging them into an irresistible force in the high orbital facility called the Battle School. Andrew "Ender" Wiggin was not the only child in the Battle School; he was just the best of the best. 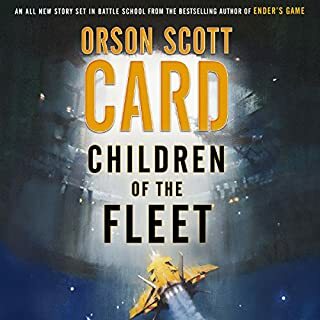 In this book, Card tells the story of another of those precocious generals, the one they called Bean, the one who became Ender's right hand, part of his team, in the final battle against the Buggers. Bean's past was a battle just to survive. His success brought him to the attention of the Battle School's recruiters, those people scouring the planet for leaders, tacticians, and generals to save Earth from the threat of alien invasion. Bean was sent into orbit, to the Battle School. And there he met Ender. Enders Shadow is an amazing look inside the Endersverse, it highlights major themes previously hinted at. I liked the way the voices changed but that was something to adapt to. It was a good performance of a good book that is part of an exciting series. I found myself downloading the next book in the series before I finished the one I was listening to so there wouldn't be a gap where I wasn't caught up in the stories. 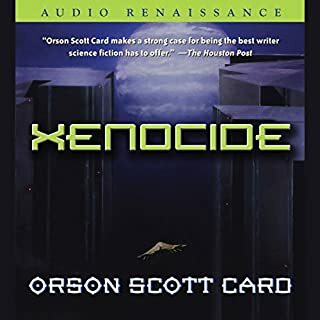 Card suggests that this book can be read independently from, "Ender's Game." I disagree. Read Ender's Game, then Ender's Shadow, then re-read Ender's Game. 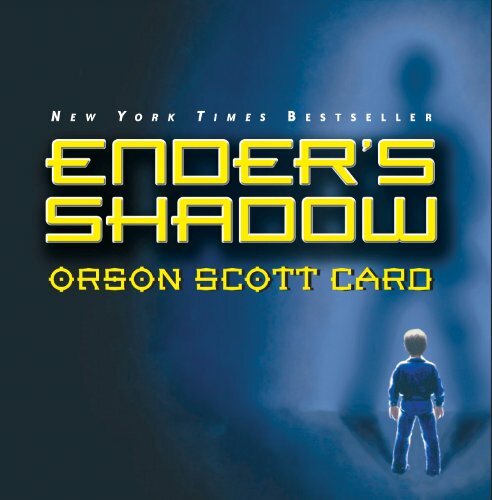 Ender's Shadow follows the same time line and events as Ender's Game, but from the perspective of the character, Bean. These two novels compliment each other so well, that they leave you wanting more. These are two of the best sci-fi novels out there. After reading Ender's Game over a year ago, I though it would be nice to now read Ender's Shadow. 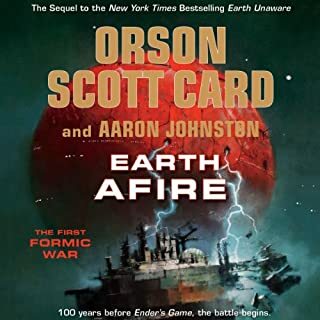 Both books are superb and I recommend them both without reservation (in addition to "Speaker For The Dead" - which you will want to read after you have read Ender's Game and Ender's Shadow). 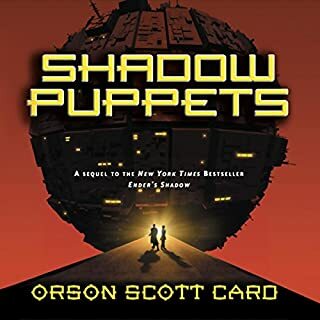 The fact that Scott Brick and Stefan Rudniki are two of the narrators only sweetens the deal. 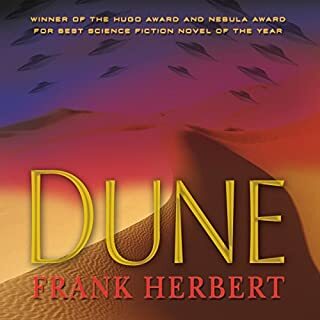 For the past two years, I have been downloading books based on the narrator more than the author. In my opinion, Mr. Brick can read the telphone book and make it sound interesting (but I digress). In order for me to truly enjoy Ender's Shadow, I started to re-listen to Ender's Game again. I then thought it would be interesting to listen to both books at relatively the same time since they are both the exact same story told from different character's perspectives (Brilliant Idea!!). I started to listen to Enders Game up to the point where he meets his friend Bean for the first time. I would then start to listen to Ender's Shadow up to the point where Bean meets Ender for the first time. Then I would listen to one for an hour or so, and then start listening to the other until I got to the same point in the story. What an unbelievalbe pleasure! I actually had fun listening to these two stories in this fashion. It allowed me to understand certain things that were either missed or that seemed to be unimportant the first time around. 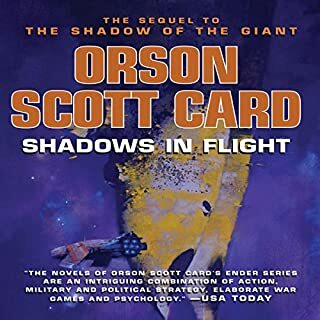 Orson Scott Card is a great author and it amazes me that there are people who have his type of mind and imagination to tell these types of detailed and intricate stories. Even if you are not a science fiction fan (which I never was until now), I recommend these three particular stories without reservation. 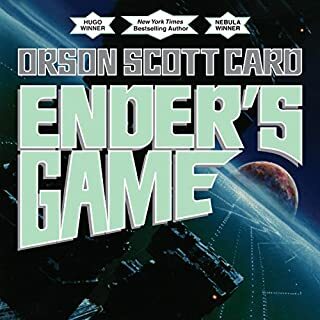 I loved Ender's Game and am now re-reading the whole series in audio format. It's great to see the same story from the perspective of a different character. Bean, in particular, is a very interesting character. Learning about his background, where he came from and what made him who he is, really fleshes out the story. 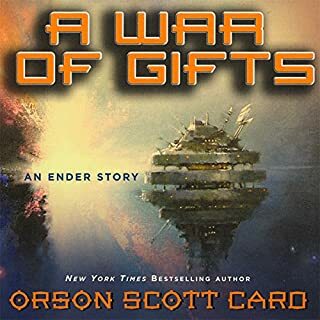 Much of the book takes place exactly overlapping Ender's Game, but Bean's life is so different and Card's storytelling is so good that it doesn't feel at all duplicative, even though I reread the two books right after each other in this go-around. I particularly liked things like *mild spoiler alert* how we find out that some of the things that were done to Ender by the teachers were actually thought out by Bean. My only complaint is that Card seems to try almost too hard in spots to differentiate Bean's understanding of events that happened in both books from the viewpoint of Ender. He occasionally took things that Bean said or did, and injected ulterior motives on Bean's part that seemed a little forced, like no event could ever have been viewed the same by both Ender and Bean. This often took the form of a statement or action by Bean having actually been perfidy or sarcasm that Ender didn't catch on to. This process made Bean a little less-likable, as if he were constantly throwing barbs at Ender and Ender just didn't notice. Every once in a while I'd have liked to see Bean's recollections of a situation be the same as Ender's because in real life, sometimes everyone has the same understanding of what's going on and that's fine. 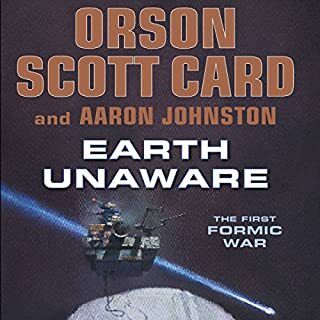 Despite that complaint, this is a thoroughly enjoyable book and adds a new and interesting dimension to the story of told in Ender's Game. 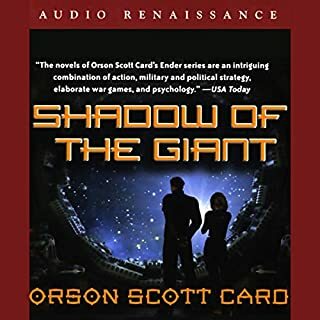 Incidentally, Card speaks at the end of the book (it's nice to hear the author's own voice on audiobooks and I always like it) and says that without Ender's Shadow, a movie of Ender's Game wouldn't really be possible and that a movie version would bounce the story back and forth between the two books to handle some of the difficulties of telling the story from Ender's viewpoint alone. I don't entirely understand the difficulties he speaks of, even though he tries to explain, but regardless, if adding Bean's perspective makes an Ender's Game movie more likely, that's another plus for this book, in my opinion. Card re-visits Battle Scholl in "Enders Shadow" through the eyes of Bean. 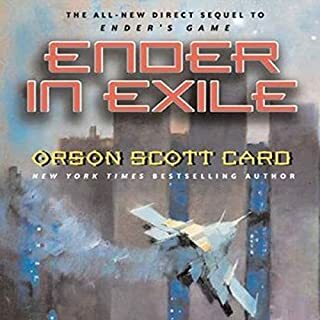 Card has grown as a writer since he wrote "Enders Game" and it shows. Characters in "Shadow" are much better developed and the story has a much more "polished" feel to it. 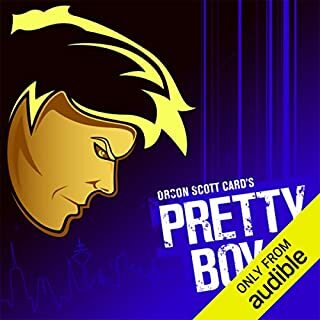 I found the narration to be very enjoyable and easy to listen to. 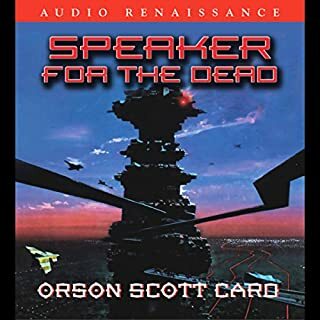 I would recommend listening to "Enders Game" and "Enders Shadow" before going on to "Speaker for the Dead", the books compliment each other. 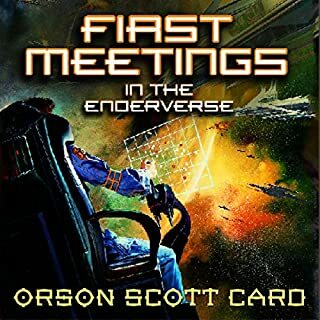 Before you click over this title, stop and ask why has Orson Scott Card's books endured? Because of Ender. Ender and the concept that children can think endure tragedy and triumph even under the most difficult of circumstances. The magic of the full cast narration and the humble but magnificant brilliant ending will leave you breathless. If you love science fiction it is a must have. If you are 50+ and want to indulge in psychological thriller this is for you. If you are a teen looking for who you are you will find it in this book... no matter who you are the story will grab you and you will be challenged by this book to think and imagine, which of course is what books are all about ..
With Ender's Shadow I have come to a problem, I refer to this as the "Godfather Dilemna" when a sequal is as good if not better then the original, as was Godfather 2 vs the original. THe Godfather Dilemna is essentially, the sequal being as good but what would it have been without the original. 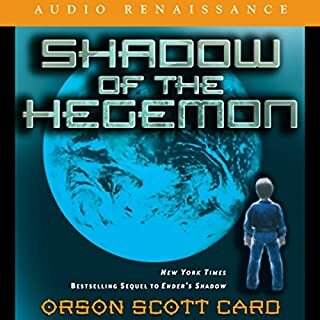 Ender's Shadow is a must read for any fan of the series. 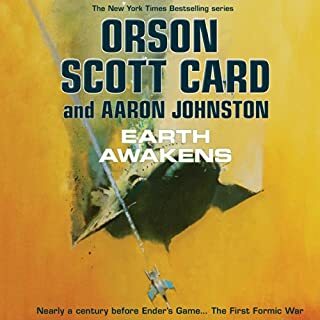 It gives great insight into of course Bean but also into that of the teachers, other students at battle school and gives an "objective" appraisal of Ender himself. I have to admit this book shocked me. I loved Ender's Game. I had read all the other Ender books before this came out and they were just OK at best, nothing like the first. I had thought the magic was gone but..... This book was fantastic. Same story as Ender's game, same characters, same occurrences, different point of view. I enjoyed every minute of it. How can the same story be so original? Good work Mr. Card. Happening paralell with Ender's story is the story of Bean, the smallest, youngest and brightest of Ender's team and friends. Bean's story is one of survival, loyalty and what it means to be a friend. Trying to shoulder some of Ender's responsibility, and trying very hard to save the world is Bean, child warrior with so much intelligence that even the instructors fear him. 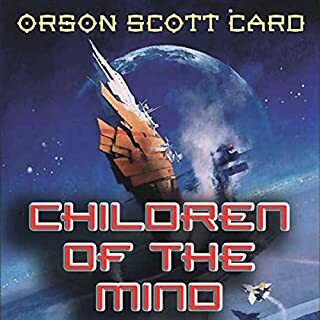 I loved this version of Ender's story, the same story from a different perspective, showing you the mind of yet another wonderful child. Don't waste your time with the abridgement. The abridged audio of this title is absolutely awful, but for years it was inexplicably the only audio version available. Why anyone thought Michael Gross would be a good narrator for this title is beyond me. I've had the release date for the GOOD (i.e. UNabridged) audio version on my calendar for months and now it's FINALLY here. 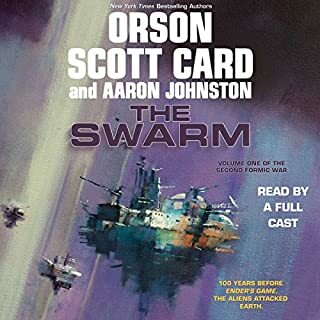 Unabridged, full cast, hopefully as good as the full cast audio versions of the rest of this series. I don't know why they waited to do a correct version of the first "Shadow" title LAST, but I'm relieved they finally did.